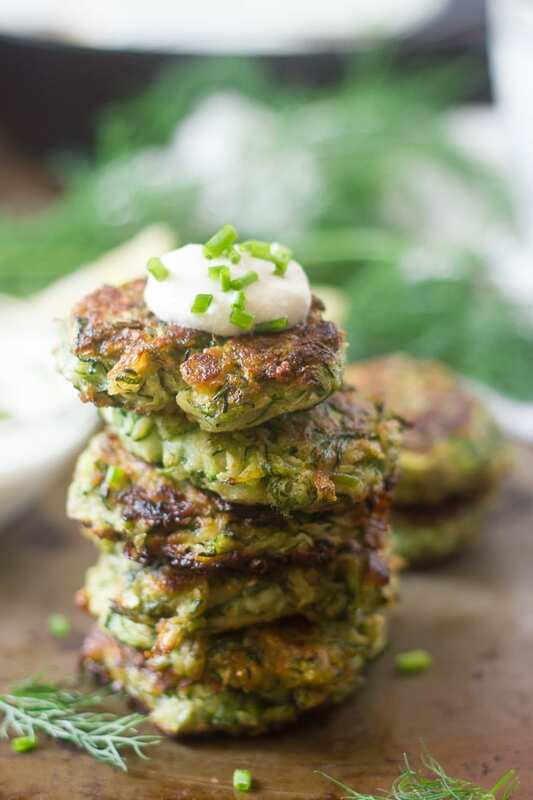 These vegan zucchini fritters are seasoned up with garlic, dill and a hint of cumin, pan-fried to a crisp, and served with silky cashew cream and a sprinkling of fresh chives. These stupid fritters were so good. This is one of those recipes I had to make a few times to perfect (vegan fritters are tricky!) but even the batches that turned out not quite right were seriously addictive. Or maybe they were all right and I just wanted to make them again and again. I’m actually not one of those lucky folks with tons and tons of zucchini bursting from my backyard this year. (It’s all good. I’ve got plenty of cherry tomatoes and peppers, thank you!) I attempted zucchini a couple of years ago and it didn’t work out so good. 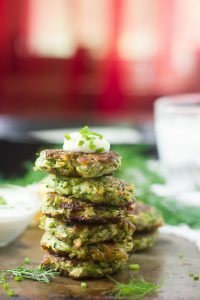 Interestingly, I also attempted vegan zucchini fritters for the first time a couple of years ago, and they didn’t work either! In fact I’m surprised I even gave them a go again, but here I am with a recipe that I absolutely love. The trick (in addition to not using zucchini grown by me, maybe) is to salt the zucchini. This draws out most of the moisture so you don’t end up with a big soggy mess. Just sprinkle with salt, let it sit for a bit, and then sqeeze out the water. I tried the salting thing with my first batch this year and there was a world of improvement over the fritters I made a couple of years ago. And I kept going, making more batches and more improvements, either because I’m really ambitious, or because I wanted more fritters. (Probably a bit of both!) Garlic, dill, fresh chives and cumin took these guys to the next level, flavor-wise. And adding a little bit of panko to the mix gave them just the right amount of crunch. I can almost guarantee that a couple of people will ask if these can be baked and kept oil free. And the answer is yes (technically anything can be baked), but they won’t be as good. At least one of those early batches a couple of years ago was baked and they weren’t bad, just kind of meh. 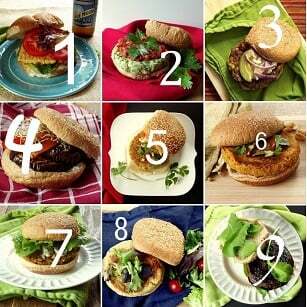 Other options: frying with less oil, baking with just a bit of oil, air frying, or any number of other things. Do they work? I don’t know, but please tell if you give them a try! 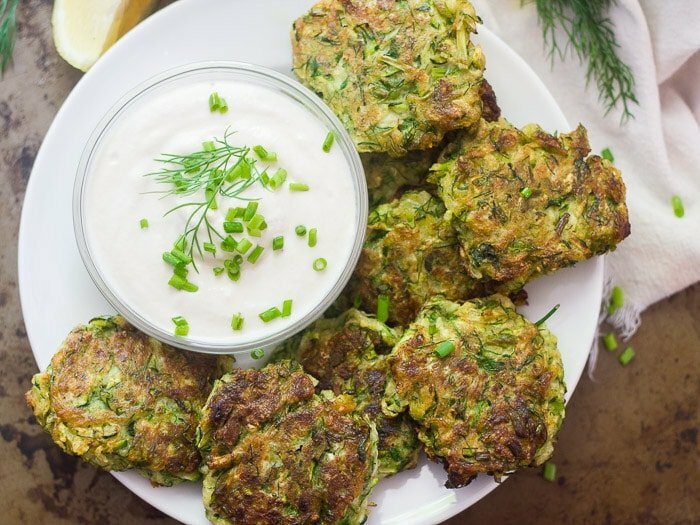 Begin making the fritters by grating the zucchini and placing it into a medium-sized bowl. Sprinkle with salt and stir to combine. Let the zucchini sit for 30 to 60 minutes. While the zucchini sits, place all ingredients for the cashew cream into a blender or food processor and blend until smooth. Season with salt to taste, then transfer the mixture to a bowl. Transfer the zucchini to a colander and press out the excess water. Alternatively, wrap in a clean towel and wring out the water. Place the zucchini back into the bowl and add the dill, chives, garlic, breadcrumbs, flour, and cumin. Stir to combine. Shape the mixture into 8 fritters (2-3 inches in diameter). Generously coat the bottom of a large skillet with oil and place it over medium heat. When the oil is hot, add the fritters, being careful not to crowd the pan. Work in batches if needed. Cook the fritters for about 4 minutes on each side, until browned and crispy, then transfer them to a paper towel-lined plate. Add oil to the skillet as needed between batches. 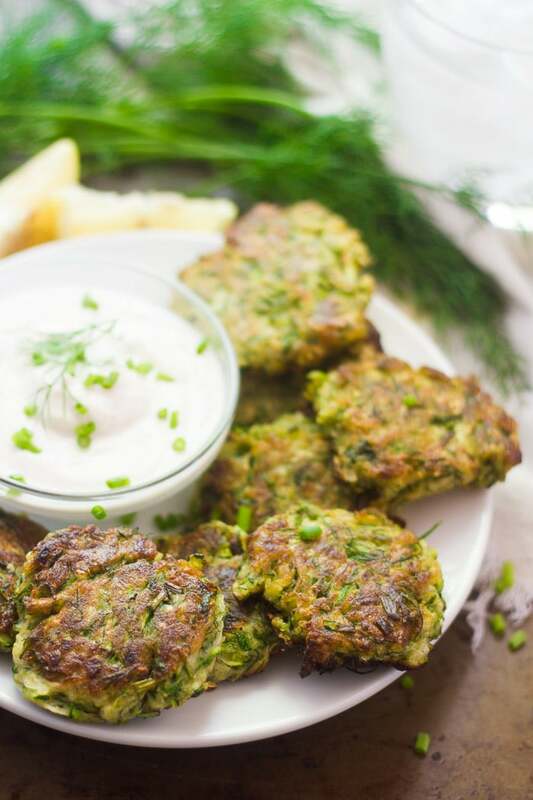 Serve the fritters with cashew cream and a sprinkling of dill and chives. These are best served immediately, but if you do have some leftover, just place them on a baking sheet and bake at 450° for a few minutes, until heated throughout. This recipe makes more than enough cashew cream. The extra can be sealed up and frozen for later. Calorie count is for 1 fritter and 1/8 of a batch of cashew cream. These photographs are so stunning! It looks like the fritters came out beautifully. I so wish I had one right now! These look sooooo gooooooood! Adding to my to-make list! The flour holds them together!